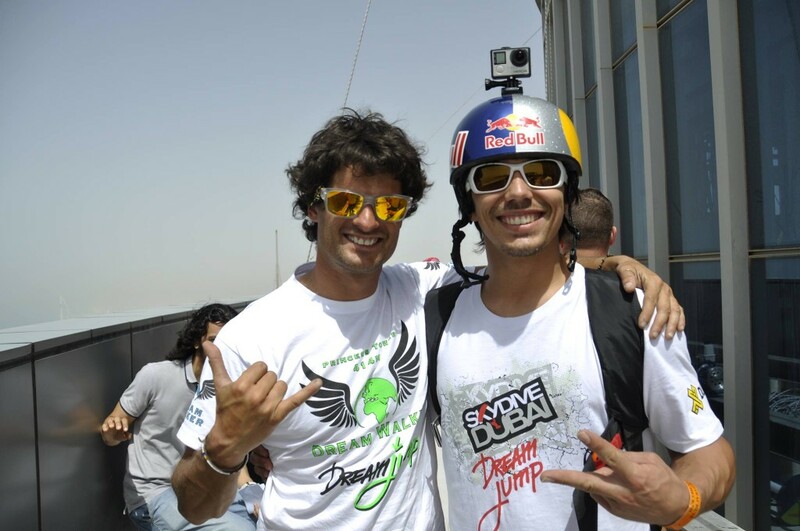 Together with our sponsor, SkyDive Dubai and jumpers Red Bull Air Force, we have once again made the impossible, as usual. 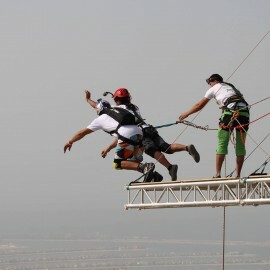 Installation of the record breaking, impressive platform for jumping, assembling the lines, jumping, dismantling the whole setup. We always act according to the same schedule. Only the circumstances change. These in Dubai, were exotic, beautiful, hellishly hot, sometimes surprising. 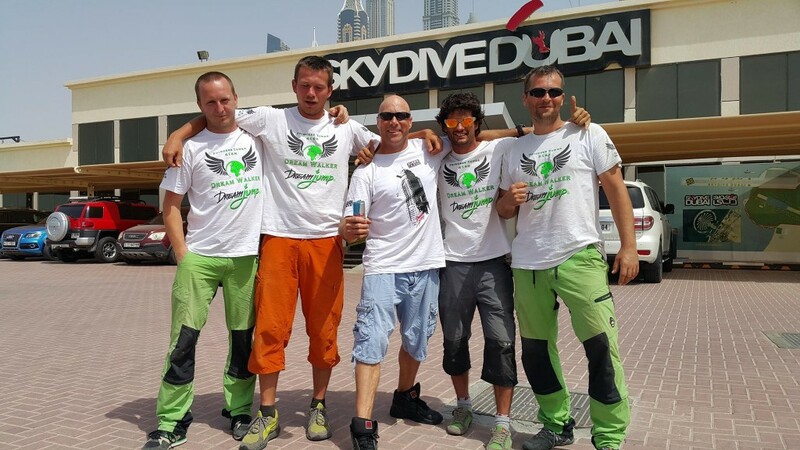 The final result of assembly are as follows: DREAM JUMP, ROPE JUMP and 2 x ZIPLINE – as it turned out – a favorite toy of BASE Jumpers. 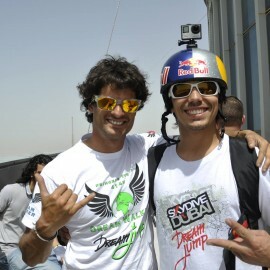 We were standing on the platform with the best SkyDive Dubai, Red Bull Air Force. Jumping from Princess Tower height 414m, platform for jumping at 360m. 1. 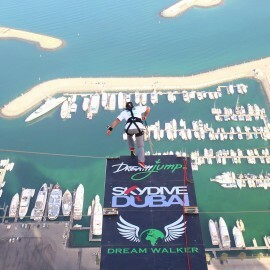 The first ever Rope Jump with the usage of Zipline. 2. 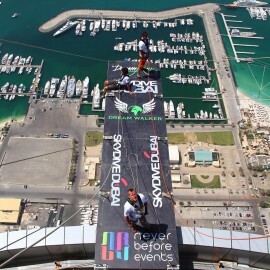 Two biggest and longest Ziplines in the World, for Base, and Rope Jump. 3. 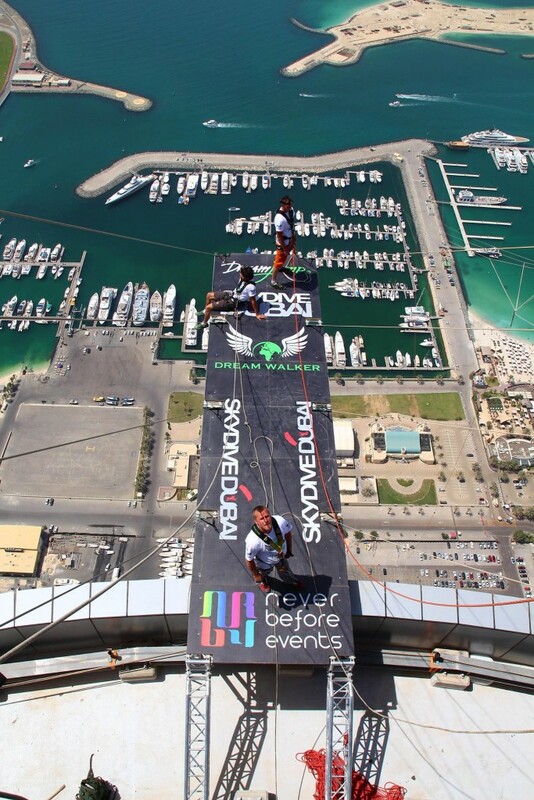 Zipline form the highest residential building in the World – Princess Tower 414m. 4. 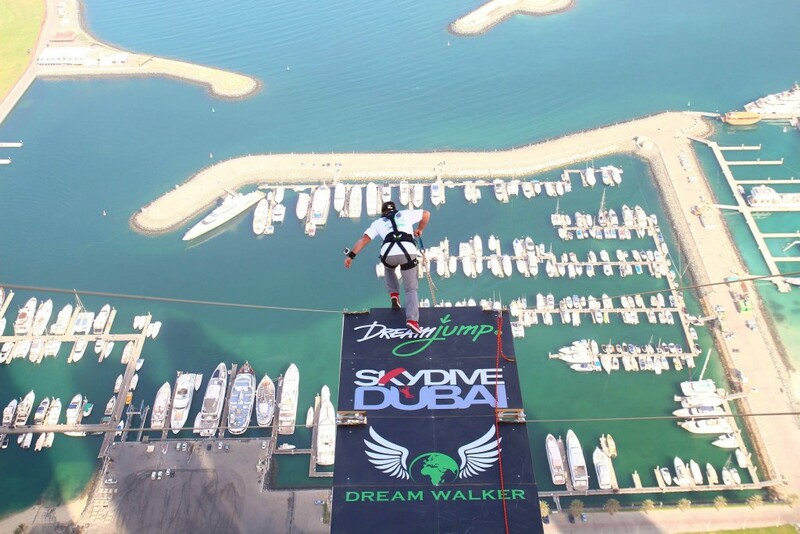 Dream & Rope jumps from highest residential building in the World, and at the same time from the highest building available for jumping in the World – Princes Tower 414 m, jump from 360 m.
5. 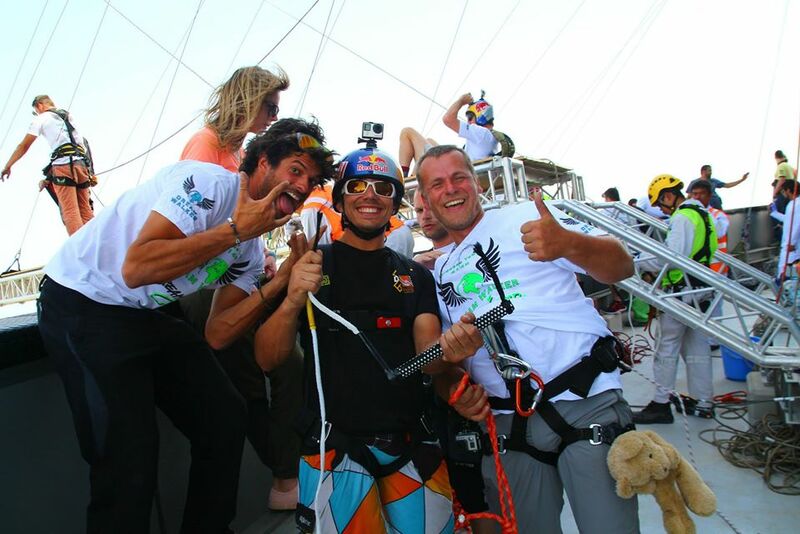 World record beaten, in synchronous jump from 360 m – Rope Jump, Dream Jump i BASE Jump from the Zipline. 6. We have beaten our own World record, set up in Norway in 2013, in size of the rope system (number of lines used), 11400m + 1800m of steel ropes. 7. We have built the world’s largest lighting for marking obstacles to air navigation purposes, hanged on 400 m – total length 1600m. 8. 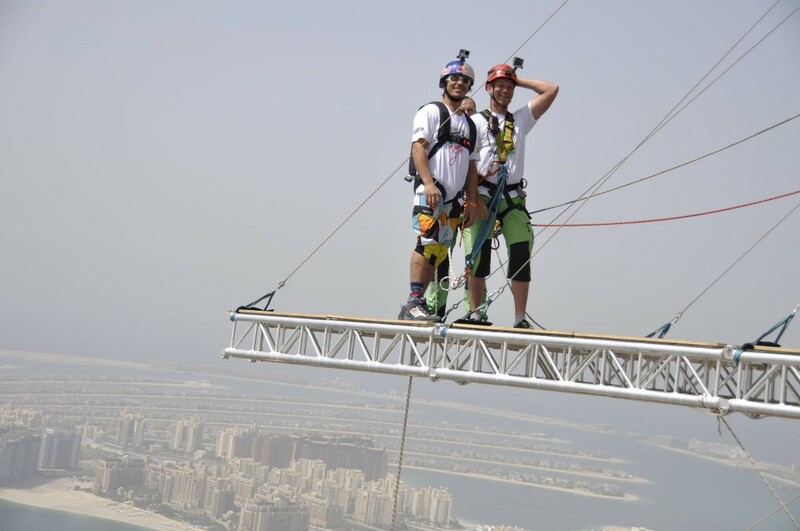 We built the platform for jumping on the highest building in the World (Second largest platform in the World 8m x 2m). 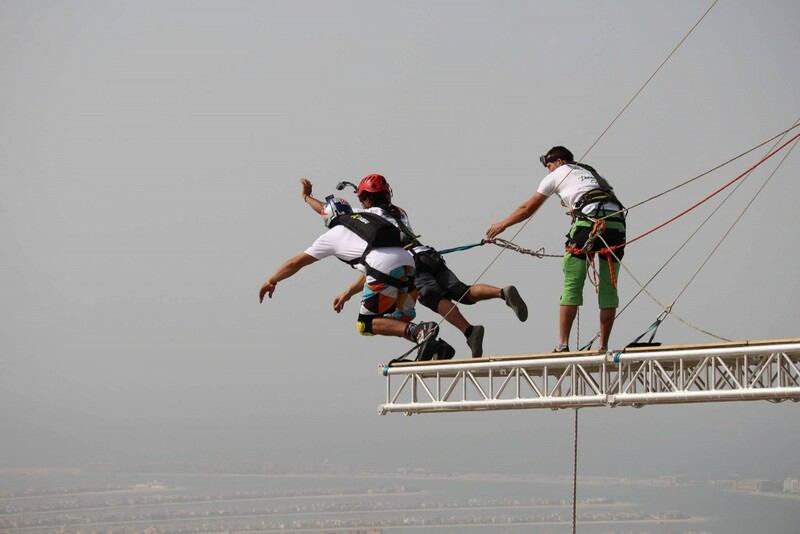 Vince Reffet – we manage to break the record with him – by performing Rope and BASE Jump the longest and biggest zip line in the World – the first time together – first time is always giving a kick, the movie below is all about it.